Cape Ann Museum open to the public– free of charge. Gloucester Block Party on Main Street in downtown. 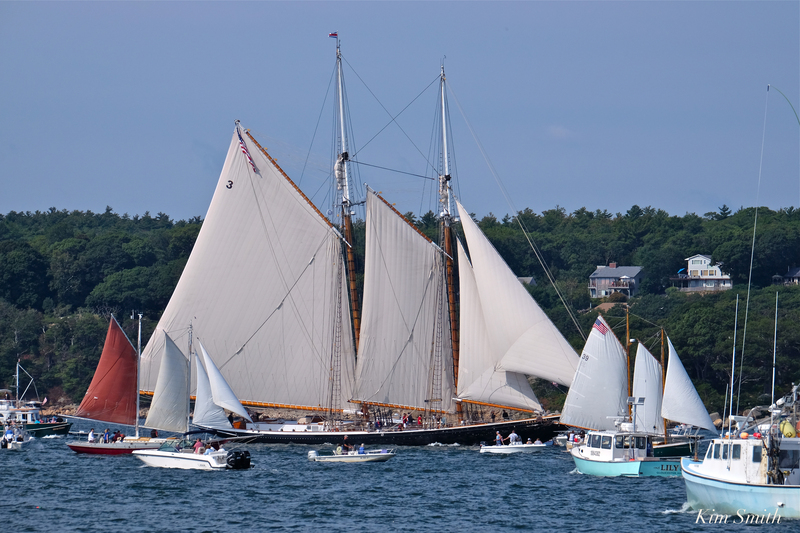 Welcome Columbia and Bluenose II sail aboard the Schooner Thomas Lannon on Friday at 10am. Purchase tickets here. The 1710 White-Ellery House (245 Washington Street, Gloucester) will have a slide show of schooners and have other fishing & racing related activities. The event is free to the public. for Lobster, Corn and Cornbread. Shuttle Bus to Eastern Point Light, from Eastern Point Gate (Eastern Point Boulevard at Farrington Avenue) to watch the start of the Mayor’s Race. Free ofCharge, courtesy of Cape Ann Transportation Authority. FOR MORE INFORMATION VISIT THE GLOUCESTER SCHOONER FESTIVAL WEBSITE HERE. This entry was posted in Schooners, Schooners and Tall Ships and tagged Gloucester, Gloucester Schooner Festival, Gloucester Schooner Festival Schedule of Events, Labor Day, Schedule of Events, Schooner Adventure, Schooner Ardelle, Schooner Thomas Lannon, Schooners on August 23, 2018 by Kim Smith.